With the Coleman Portable Propane Coffeemaker ($90), you don't have to sacrifice fresh cup of morning coffee on your next camping trip. This coffeemaker can operate off the grid on a standard 16.4 propane cylinder with an effective heating capability of 4,500 BTU. 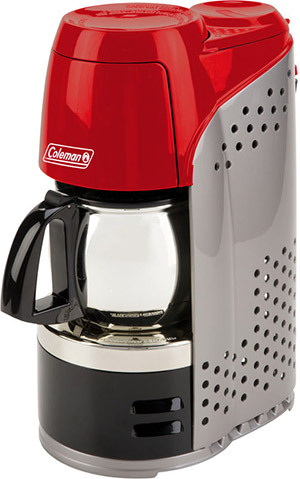 And with a durable stainless steel carafe with a 10-cup capacity and InstaStart auto ignition brewing button, you'll always have coffee ready whenever you need it.